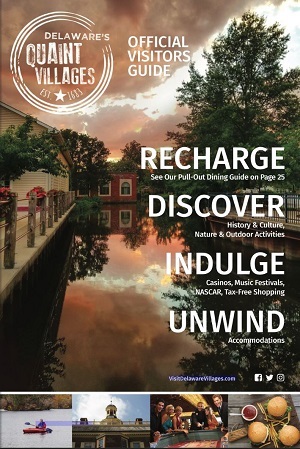 Delaware’s Quaint Villages is staying competitive by offering a wide range of tournament possibilities within a 4 hour drive of 4.5 million sport enthusiasts in the Mid-Atlantic and Northeast! Our winning lineup of venues, including the new DE Turf, Delaware State University Athletic facilities, the track and grounds at Dover International Speedway, and more, give your tournament organizer options to stay, play, and grow tournaments that will draw participants from major population hubs such as Washington, DC, Baltimore, MD, Philadelphia, PA, New York City, NY, Annapolis, MD, and the communities in between. Once the tournament day is over, families are can treat themselves to unique and affordable dining options ready to help with the celebration. Mom and Dad can enjoy some great brews while the kids enjoy the menu at Brickworks Brewing & Eats. Enjoy the unique burgers and famous onion rings at Restaurant 55. Or enjoy some family classics at the Frederica Pizza & Pasta House.